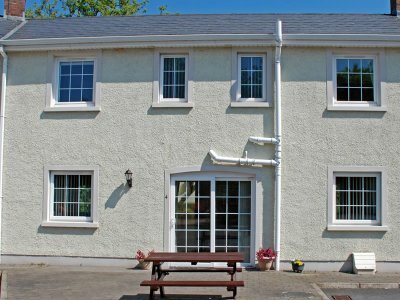 Located 100 meters walk from the Manor B&B & Canal Café along the banks of the Lagan Navigation Canal lies our 4 Star self-catering cottages. 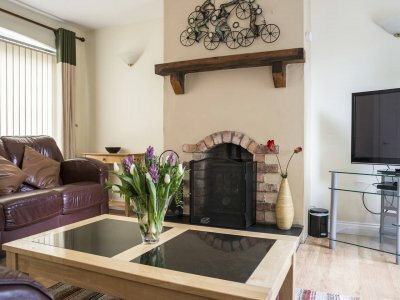 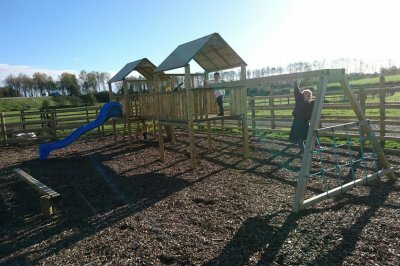 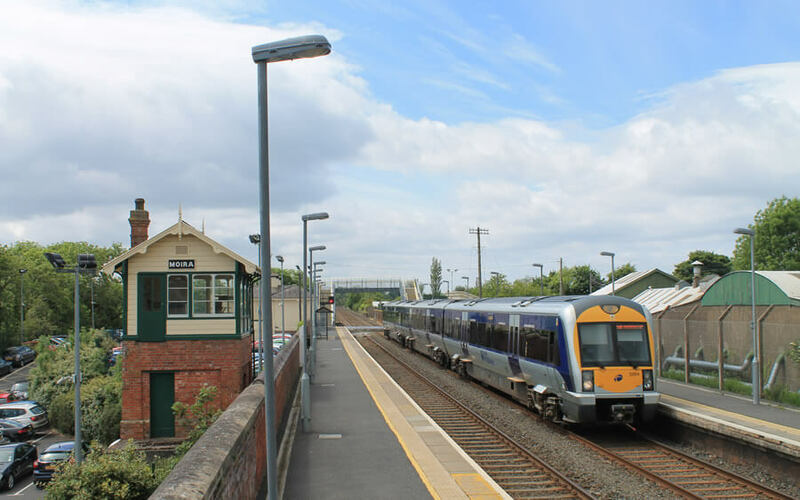 Our entrance via Station Road provides a two-minute walk to Moira train Station, 5-minute walk to the local Steak-house and a 15-minute walk to the award winning village of Moira, giving the cottages an enviable location. 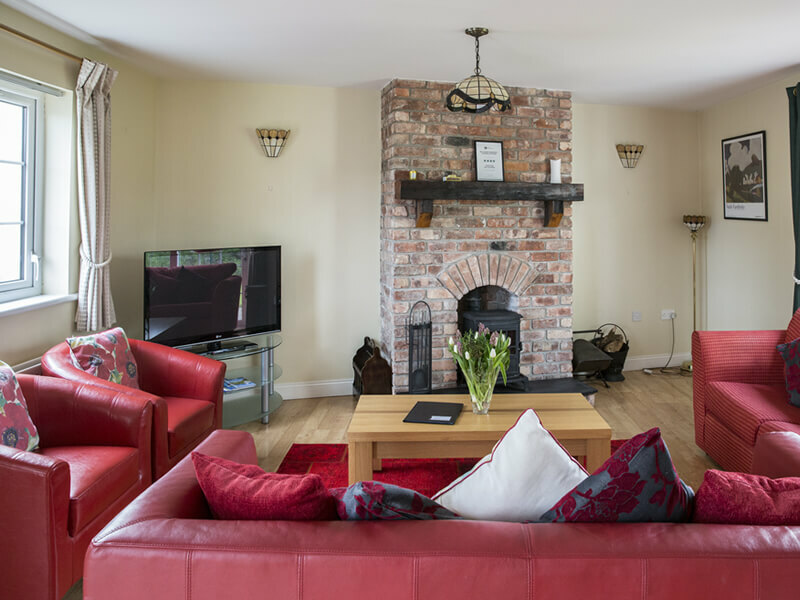 The cottages were designed to capture the picturesque views of its surroundings, overlooking the Lagan Navigation Canal, its historic bridges- Lady’s Bridge and railway Bridge and the rolling green fields of Moira. 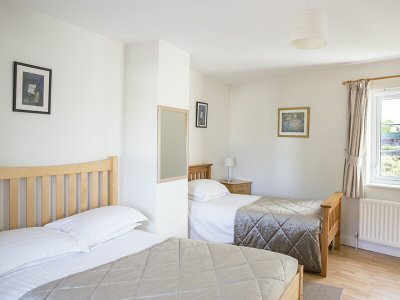 Families of swans and moorhens are a regular sight through the double height glazed feature walls, which guests love to relax and read in. 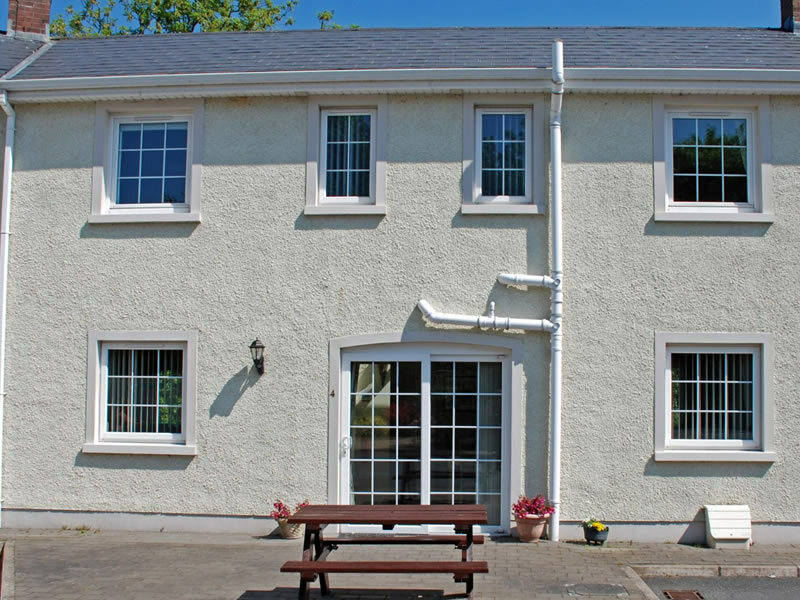 The twittering of birds can be heard in the private landscaped gardens overlooking the canal. 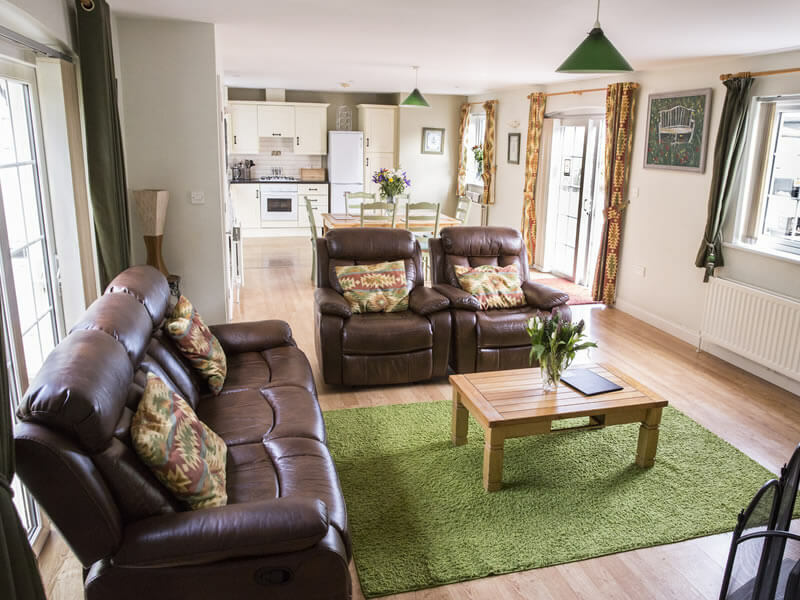 Inside the cottages are spacious and airy, decorated in an elegant and contemporary style. 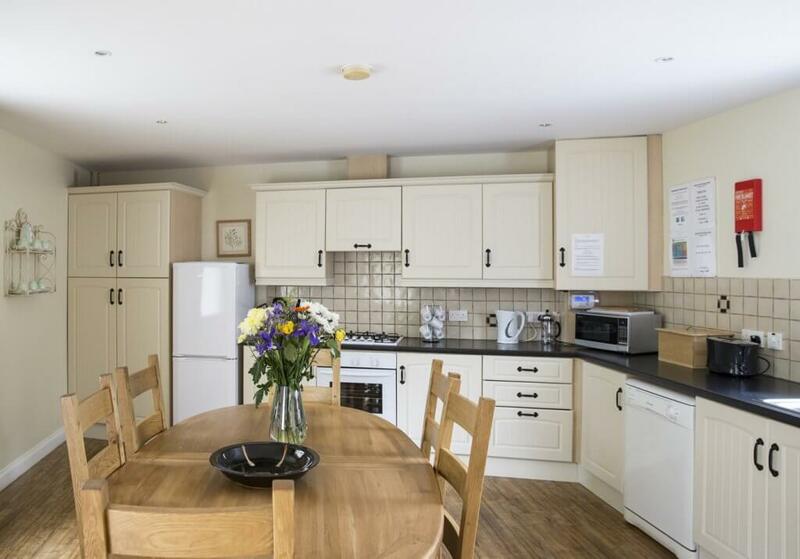 ‘Great Rooms’ provide open plan living that combine a fully equipped Kitchen, dining area and living area in one large shared space allowing guests to cook, entertain and relax in one room. 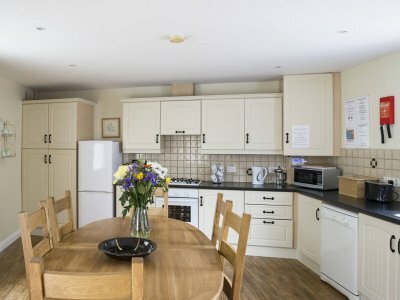 Kitchens are equipped with all mod cons including dishwasher, washing machine, tumble dryer, gas hob, electric grill and oven, microwave with double height fridge and freezer. 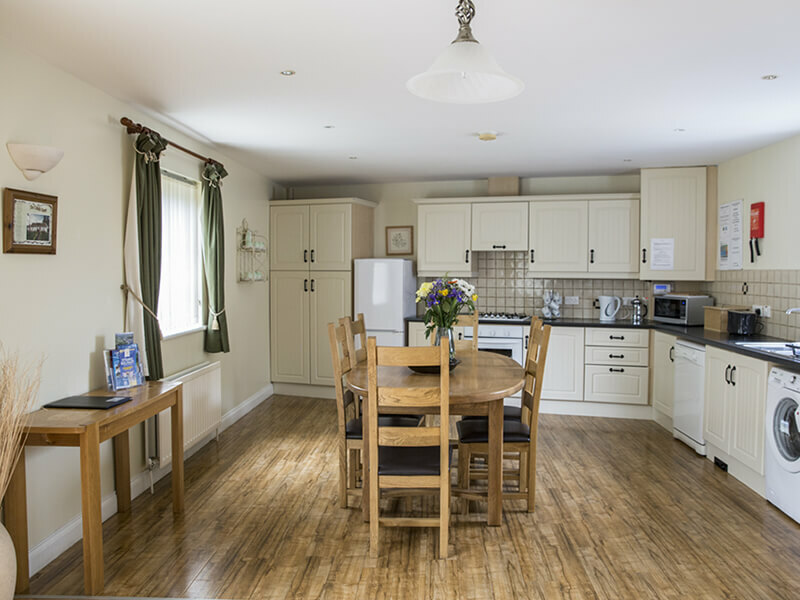 Dining areas are bright and spacious and contain quality furnishings with feature patio doors leading to landscaped gardens. 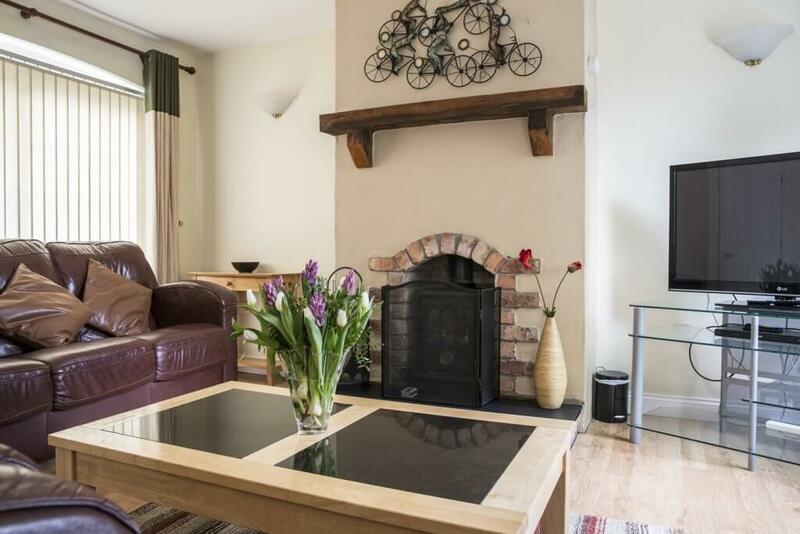 Living areas boast feature red bricked fireplace with multi-fuel wood burning stove, contemporary leather furniture and large screen digital and smart tv. Bedrooms are lavishly decorated with cottages boasting feature wall paper, built in wardrobes, glass toped furniture, tv and radio/alarm clocks. 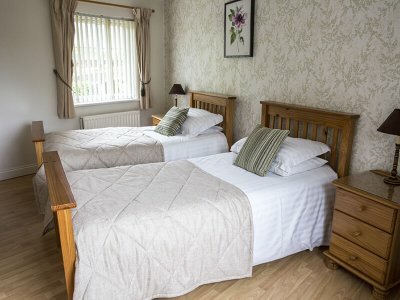 Ground floor bedrooms are available in two of the cottages whilst there is one disabled cottage with a walk-in wet room. Cottage bathrooms contain both a bath and a shower. 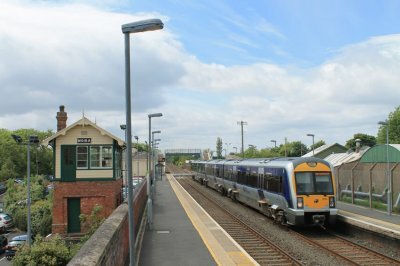 1-min walk to Moira train station. 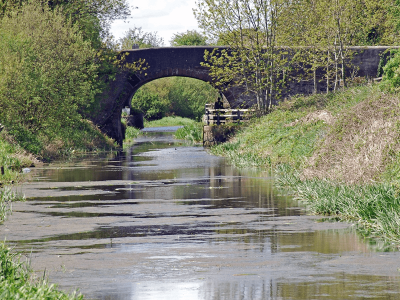 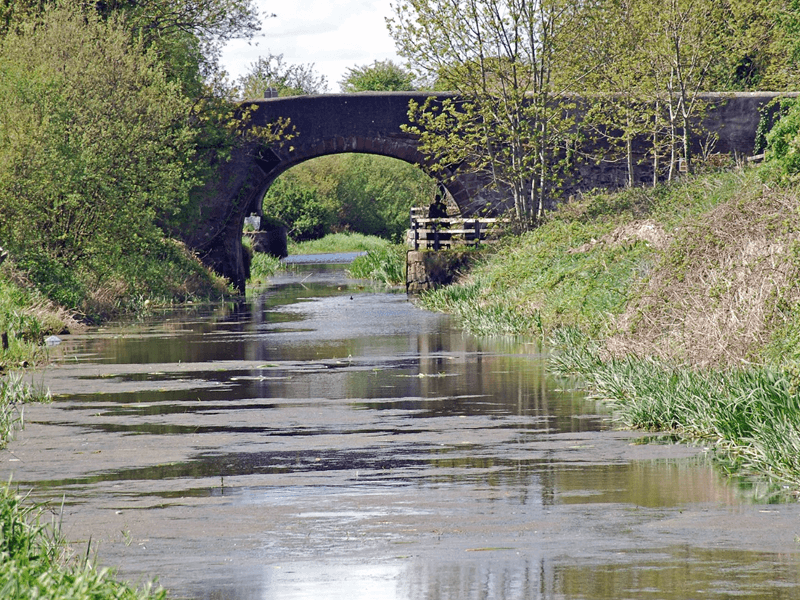 Fabulous view over canal and surrounding countryside.